Function: The Regional Network Council shall plan for individual regional meetings and provide input to the Executive Board of the Association. Composition: The Regional Network Council shall be composed of the regional coordinators, the non-public school chairperson, retired media specialist chairperson, and the Regional Network Director. 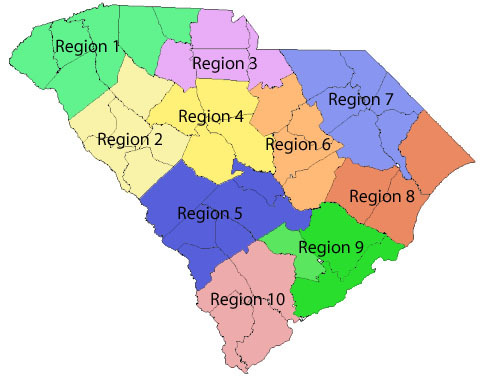 Residency: All members of the Regional Network Council shall reside and/or be employed in the region which they represent and shall be active members of the Association. Chairperson: The Regional Network Director shall serve as Chairperson of the Regional Network Council and act as liaison between the Executive Board and the membership via the Regional Coordinators. To serve as a communications channel between the Executive Board and the membership. To create opportunities for professional contact and exchange of professional information. To provide opportunities for individuals to have input into programs and activities on local, regional and state levels. To set priorities of action or concern in the form of resolutions for presentation to the Executive Board. To coordinate activities for membership growth and retention. Due to large populations in some regions, subdivisons have been created.